LINCOLN, Neb. 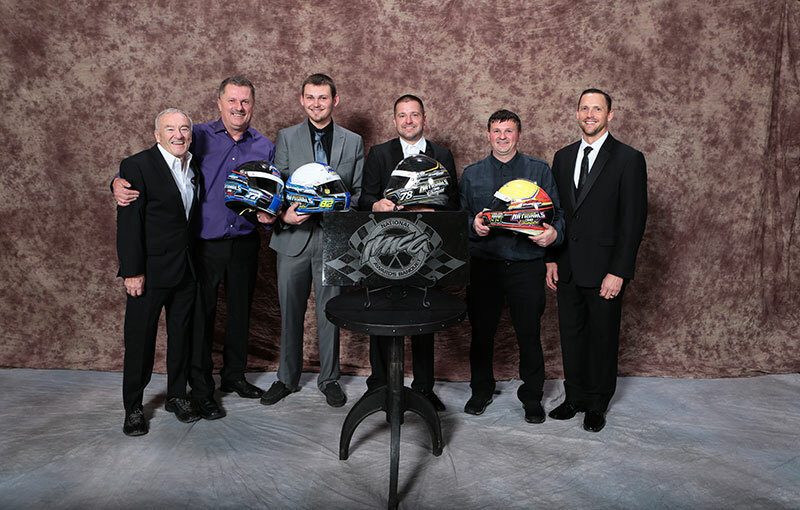 (Nov. 24) – Champions and top rookie drivers of 2018 were honored at the IMCA national awards banquet Saturday in Lincoln. National champions recognized during the evening were Jordan Grabouski, IMCA Modifieds; Jeremiah Hurst, IMCA Late Models; Kevin Ramey, IMCA RaceSaver Sprint Cars; Mike Nichols, IMCA Sunoco Stock Cars; Shannon Anderson, IMCA Sunoco Hobby Stocks; Gabe Tucker, Smiley’s Racing Products Southern SportMods; Matthew Looft, Karl Chevrolet Northern SportMods; and Ramsey Meyer, Mach-1 Sport Compacts. Regional Modified kings were Grabouski in the Jet Racing Central, A.J. Ward in the Dirt Works Eastern, Brandon Beckendorf in the Side Biter Chassis North Central, Josh McGaha in the Razor Chassis South Central and Zane DeVilbiss in the Larry Shaw Race Cars Western. Nichols reigned in the EQ Cylinder Heads Northern Region, Westin Abbey in the EQ Cylinder Heads Southern Stock Car Region. Anderson led the way in the Big Daddy Race Cars Northern Region and Dennis Spencer sped to the Big Daddy Race Cars Southern Region Hobby Stock championship. Earning national rookie of the year awards were Jeffrey Abbey in the Modifieds, Shawn Cooney in the Late Models, Casey Burkham in the Sprint Cars, Troy Burkhart in the Stock Cars, Adam Ayers in the Hobby Stocks, Kyle Wilkins in the Southern SportMods, Brandon Setser in the Northern SportMods and Howard Watson in the Sport Compacts. Modified regional rookies of the year were Abbey in the Razor Chassis South Central, Victorya Truemner in the Eastern, Shadren Turner in the Central, Jesse Skalicky in the Side Biter Chassis North Central and Shane DeVolder in the Larry Shaw Race Cars Western. Burkhart was the top rookie in the EQ Cylinder Heads Northern Region while Bryce Pritchett paced rookie standings for the EQ Cylinder Heads Southern Stock Car Region. 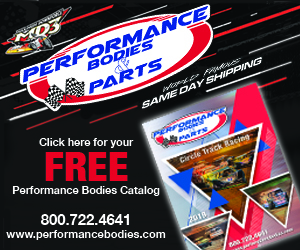 Ayers paced Big Daddy Race Cars Northern Region rookie standings and Richard Killingbeck collected the rookie of the year prize in the Big Daddy Race Cars Southern Region. Champions at the IMCA Speedway Motors Super Nationals fueled by Casey’s were Jeff Aikey in the Modifieds, Damon Murty in the Stock Cars, Anderson in the Hobby Stocks and Jake McBirnie in the Northern SportMods. 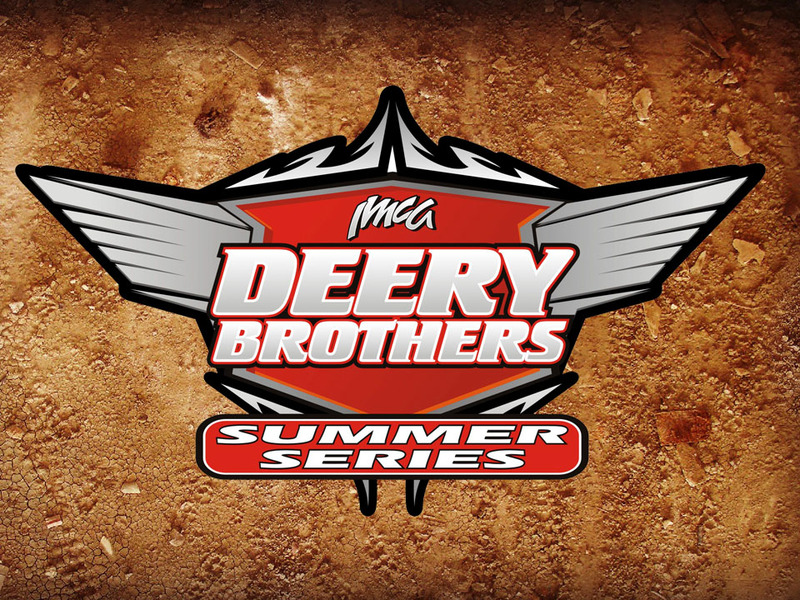 Champion of the Deery Brothers Summer Series was Justin Kay. Chad Coyne collected rookie of the year honors in the IMCA Late Model tour. Leah Wroten raced to Lady Eagle honors, topping point standings for female drivers in the eight IMCA divisions. She was fifth nationally in the national Hobby Stock point race. Larry Shaw Race Cars repeated as winner of the IMCA Manufacturers’ Cup contest, pacing point standings in the Eastern Region and sharing top honors with Razor Chassis in the Western. Rage Chassis ruled the North Central, GRT Race Cars the Central and CAM Chassis the South Central. Nearly 600 people attended the annual banquet, held at the Cornhusker Marriott in downtown Lincoln. Speedway Motors is title sponsor of IMCA Weekly Racing and company President Clay Smith spoke prior to the start of the evening’s festivities. Speedway Motors also hosted the Friday night Champions’ Reception at the Smith Collection of American Speed. Chaz Baca at Arizona Speedway and Canyon Speedway Park; Jerry Bailey at Atomic Motor Raceway and Idaho Falls Raceway; Kenny Baumann at Big Sky Speedway; Cody Blixt at Salmon Valley Speedway; Cody Burke at Ocean Speedway; DeVilbiss at Desert Thunder Raceway and Sweetwater Speedway; Logan Drake at Santa Maria Raceway; Dwight East at Summit Raceway; Aaron Elwess at Sunset Speedway Park; Michael Fauber at Sheridan Speedway; Grey Ferrando at Willamette Speedway; Trevor Fitz-Gibbon at Ventura Raceway; Albert Gill at Southern Oregon Speedway; Oreste Gonella at Petaluma Speedway; Dustin Hansen at Diamond Mountain Speedway in Utah; R. Royce Henry at Barona Speedway; Rob Hoffman at Gillette Thunder Speedway; Darrell Hughes II at Merced Speedway; Shawn LaRocque at Winnemucca Regional Raceway; Steven McCollough at Cocopah Speedway; Ryan McDaniel at Siskiyou Motor Speedway; Bill McIntosh at Mohave Valley Raceway; Jake Mayden at Cottage Grove Speedway; Jeremy Meirhofer at Gallatin Speedway; Robert Miller at Fernley 95A Speedway; Matt Murphy at Diamond Mountain Speedway in California; Joel Myers at Lovelock Speedway; Jeff Olschowka at American Valley Speedway; Zach Olson at Electric City Speedway; Brad Pounds at Bakersfield Speedway; Dereck Rhoden at Montezuma County Fairgrounds Speedway; Don Robertson Jr. at Casper Speedway; Cory Sample at Perris Auto Speedway; Andy Straight at Battle Mountain Raceway and Rattlesnake Raceway; Regan Tafoya at Aztec Speedway; Jeremy Thornton at Central Arizona Speedway; and Bryan Wordelman at Millard County Raceway. State champions were Chaz Baca in Arizona; Jerry Bailey in Idaho; Zane DeVilbiss in Wyoming; Shane DeVolder in California; Bricen James in Oregon; Joey Price in Montana; Kelly Smith in Utah; and Andy Strait in Nevada. Jeffrey Abbey at Southern Oklahoma Speedway; Rusty Belcher at Grayson County Speedway; Peter DeGrote at 281 Speedway; Rick Green at I-37 Speedway; Hardy Henderson at Cotton Bowl Speedway; Josh McGaha at Abilene Speedway; Mitch McMillin at Kennedale Speedway Park; Cody Shoemaker at Boyd Raceway; Rob Slott at 105 Speedway; Caleb Stone at Cardinal Speedway; and Eric Tomlinson at Heart O’ Texas Speedway. State champions were Jeffrey Abbey in Oklahoma, Colin Deming in New Mexico and Rob Slott in Texas. Bubba Alvarado at I-76 Speedway; Drew Armstrong at I-30 Speedway and Texarkana 67 Speedway; Vance Ball at Crowley’s Ridge Raceway; Steven Bowers Jr. at Thunder Hill Speedway; Chad Clancy at US 36 Raceway; Brian Cross at El Paso County Raceway and in the Colorado Alliance Tour; John Crytser at Honor Speedway; Tyler Frye at Salina Speedway; Daniel Gottschalk at RPM Speedway; Jordan Grabouski at Beatrice Speedway and Eagle Raceway; Justin Gregg at Junction Motor Speedway; Ronnie Hill at Sherman County Speedway; Nick Link at Dodge City Raceway Park; Mark Norris at Batesville Motor Speedway; Kyle Rohleder at Thomas County Speedway; Anthony Roth at Dawson County Raceway and U.S. 30 Speedway; Trent Roth at Boone County Raceway; Garrett Sporhase at Phillips County Raceway; Jay Steffens at Lincoln County Raceway; Shadren Turner at Bethany Speedway; and Brandon Walsh at Legit Speedway Park. State champions were Drew Armstrong in Arkansas, Brandon Conkwright in Kansas, Brian Cross in Colorado, Jordan Grabouski in Nebraska and Shadren Turner in Missouri. 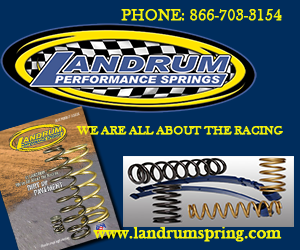 Chris Abelson at Buena Vista Raceway and Park Jefferson Speedway; Jeff Aikey at Benton County Speedway; Eric Barnes at Quad City Speedway; Brandon Beckendorf at Arlington Raceway, Fairmont Raceway and Redwood Speedway; Troy Cordes at Independence Motor Speedway; Nick Deal at Shelby County Speedway; Eric Edwards at Jamestown Speedway; Shawn Fletcher at North Central Speedway and Princeton Speedway; Bryce Garnhart at Davenport Speedway, Dubuque Speedway and Maquoketa Speedway; Travis Hagen at Williston Basin Speedway; Tyler Hall at Buffalo River Race Park; Randy Havlik at Boone Speedway; Robert Hellebust at Nodak Speedway; Chris Hortness at Estevan Motor Speedway; Racer Hulin at Marshalltown Speedway; Jeff James at Sports Park Raceway; Randy Klein at Sheyenne Speedway; Cody Knecht at Clay County Fair Speedway; Tyler Limoges at Murray County Speedway; Clint Luellen at Stuart Speedway; Nick Meyer at Hancock County Speedway and Kossuth County Speedway; Red Monson at Crawford County Speedway; Bob Moore at Raceway Park; Travis Peery at Southwest Speedway; Brady Petermann at Norman County Raceway; Tyler Peterson at Red River Valley Speedway; Russ Reinwald at Luxemburg Speedway; Shawn Strand at Dacotah Speedway; Jeff Waterman at 34 Raceway and Lee County Speedway; Johnny Whitman at 141 Speedway; and Marcus Yarie at Outagamie Speedway and Shawano Speedway. State champions were Eric Barnes in Illinois, Brandon Beckendorf in Minnesota, Zach Dockter in North Dakota, Brekken Kleinschmidt in Wisconsin, Bob Moore in South Dakota and Kelly Shryock in Iowa. Beau Ballard at Afton Motorsports Park; Nate Jones at Tri-City Motor Speedway; Rodney Morgan at Thunder Mountain Speedway; Matt Szecsodi at Silver Bullet Speedway; A.J. Ward at Crystal Motor Speedway and I-96 Speedway; and Will Ward at Outlaw Speedway. And state champions included James Roete in Florida, Rodney Morgan in New York and A.J. Ward in Michigan. Hunter Marriott raced to a trio of IMCA Modified special series titles in 2018, repeating as champion of the Karl Performance Arizona Tour and earning a third straight Kupper Chevrolet Dakota Classic Tour crown before topping Arnold Motor Supply Dirt Knights Tour standings for the first time. Other winners of coveted special series crowns were John Campos in the Wild West Modified Shoot Out; Chris Elliott in the Red River Tour; Chase Hansen in the Sweet Diamond Challenge Series; James Roete in the Bay Area Modified Tour; Kyle Rohleder in the Kansas Thunder Series; and Kody Scholpp in the Gunslinger Tour. The crew chief of the year award for the Modified division went to Josh Houseman. Late Model track champions were Todd Cooney at Marshalltown Speedway; Ryan Dolan at Benton County Speedway; Jeremiah Hurst at Maquoketa Speedway; and Matt Ryan at Davenport Speedway and Quad City Speedway. Matt Ryan topped state standings in Illinois. Jeremiah Hurst was state champion in Iowa. Recipient of the Late Model crew chief award was Jeremy Roeth. Brandon Allen at Arlington Raceway; Ethan Barrow in the Indiana RaceSaver Sprint Series; Zach Blurton in the United Rebel Sprint Series; Tony Drueke at Wagner Speedway; Tyler Drueke at Eagle Raceway; Grant Duinkerken in the Western RaceSaver Sprint Series; Jeff Emerson in the Texas Sprint Series; Shane Fick at Jackson Motorplex; Jeremy Gossett at Route 66 Motor Speedway; Tony Harris in the Virginia Sprint Series; Brandon Hickman at West Texas Raceway; Tommy Johnson at Sabine Motor Speedway; Ryan Lynn in the Laurel Highlands Sprint Series; Zach Newlin in the Pennsylvania Sprint Series; John Otte at Stuart Raceway; Kevin Ramey at Devil’s Bowl Speedway and RPM Speedway; Matt Richards at US 36 Raceway; Lucas Scherb at Kennedale Speedway Park; Trey Schmidt in the Southern United Sprint Series; Steven Shebester at Lawton Speedway; Tim Sherman Jr. at Marysville Raceway; Andy Shouse in the Sprint Series of Oklahoma; Colin Smith at Park Jefferson Speedway, Stephen Surniak in the Carolina Sprint Tour; Tim Tanner Jr. in the Mid-Atlantic Sprint Series; and Tyler Thompson at Boone Speedway. State champions included Brandon Allen in Minnesota, Elliot Amdahl in South Dakota, Ethan Barrow in Indiana, Tyler Drueke in Nebraska, Grant Duinkerken in California, Tony Harris in Virginia, Mike Houseman in Iowa, Tommy Johnson in Louisiana, Jake Martens in Kansas, Zach Newlin in Pennsylvania, Coby Pearce in Colorado, Craig Pellegrini Jr. in North Carolina, Kevin Ramey in Texas, Matt Richards in Missouri, Steven Shebester in Oklahoma, Stephen Surniak in South Carolina and Tim Tanner Jr. in New Jersey. Dylan Ramey was crew chief of the year for the Sprint Cars. Joe Bellm at El Paso County Raceway and Phillips County Raceway and in the Colorado Alliance Tour; Dennis Bissonette at 281 Speedway; Brian Blessington at Shelby County Speedway; Joren Boyce at McLean County Speedway and Williston Basin Speedway; Allen Bradley at Aztec Speedway; Jay Bransom at Kennedale Speedway Park; Robert Broxton at Grayson County Speedway; Chad Bruns at Boone County Raceway; Shaun Bruns at Redwood Speedway; Nathan Burke at Nodak Speedway; Chad Clancy at Bethany Speedway and US 36 Raceway; Mike Coel at Outagamie Speedway; Aaron Corley at West Texas Raceway; Charles Cosper at Cotton Bowl Speedway; Michael Dancer at Lincoln County Raceway; Fred DeSive at Stuart Raceway; Randy Eacker at Honor Speedway; Kyle Frederick at 141 Speedway; George Fronsman at Canyon Speedway Park; Dakota Godard at Willamette Speedway; Ryan Grit at Salina Speedway; Matt Haid at Thunder Hill Speedway; Brock Hamilton at Keller Auto Speedway at Kings Fairground; Shawn Havel at Luxemburg Speedway; Chris Heim at Sherman County Speedway; Ed Henderson at Desert Thunder Raceway; Gene Henrie at Sweetwater Speedway and in the Sweet Diamond Challenge Series; Zach Hilzer at I-76 Speedway; Troy Jerovetz at Sports Park Raceway; Nick Johansen at Murray County Speedway; Tyler Johnson at Bakersfield Speedway; Kirk Kinsley at CJ Speedway; Donnie Louck at Maquoketa Speedway; Grady Martin at Diamond Mountain Speedway in Utah; Bobby Miller at Southern Oklahoma Speedway; Mike Nichols at Crawford County Speedway and Dawson County Raceway; John Oliver Jr. at 34 Raceway, Benton County Speedway and Lee County Speedway; Brad Ostler at Millard County Raceway; Chad Palmer at Hancock County Speedway and Kossuth County Speedway; Kyle Pfeifer in the Kansas Thunder Series; Jake Powers at Quincy Raceway; Bryce Pritchett at Boyd Raceway; Brandon Pruitt at Stuart Speedway; Todd Reitzler at Marshalltown Speedway; Jason Rogers at RPM Speedway and Thomas County Speedway; Andy Roller at Heart O’ Texas Speedway; Luke Sathoff at Fairmont Raceway; Matt Schauer at Arlington Raceway; Jay Schmidt at Boone Speedway; Michael Sheen at Cardinal Speedway; David Smith at Buena Vista Raceway and Clay County Fair Speedway; Aaron Spangler at Montezuma County Fairgrounds Speedway; Shane Stutzman at U.S. 30 Speedway; Jeremy Swanson at Estevan Motor Speedway; Travis Van Straten at Shawano Speedway; Rob VanMil at Norman County Raceway and Red River Valley Speedway; Kyle Vanover at Beatrice Speedway; Billy Wade at Abilene Speedway; Jason Ward at Park Jefferson Speedway and Raceway Park; Jarod Weepie at Independence Motor Speedway; Jason Wilkinson at Off Road Speedway; and Dustin Withhuhn at Dodge City Raceway Park. Elijah Zevenbergen continued his mastery of the Kupper Chevrolet Dakota Classic Tour, Cayden Carter captured Lone Star Tour honors and Westin Abbey ruled in the Red River Tour. State champs in the class too tough to tame were Mark Adams in Texas, Joe Bellm in Colorado, Joren Boyce in North Dakota, Troy Burkhart in Kansas, Cody Center in Arizona, Chad Clancy in Missouri, Dakota Godard in Oregon, Brock Hamilton in California, Gene Henrie in Utah and in Wyoming, Carbie McClearen in New Mexico, Dan Mackenthun in Minnesota, Bobby Miller in Oklahoma, John Oliver Jr. in Iowa, Jake Powers in Illinois, Rod Snellenberger in Wisconsin, Jason Ward in South Dakota and Jason Wilkinson in Nebraska. Stock Car crew chief of the year awards went to Justin Gessert and Paul Zimmerman. 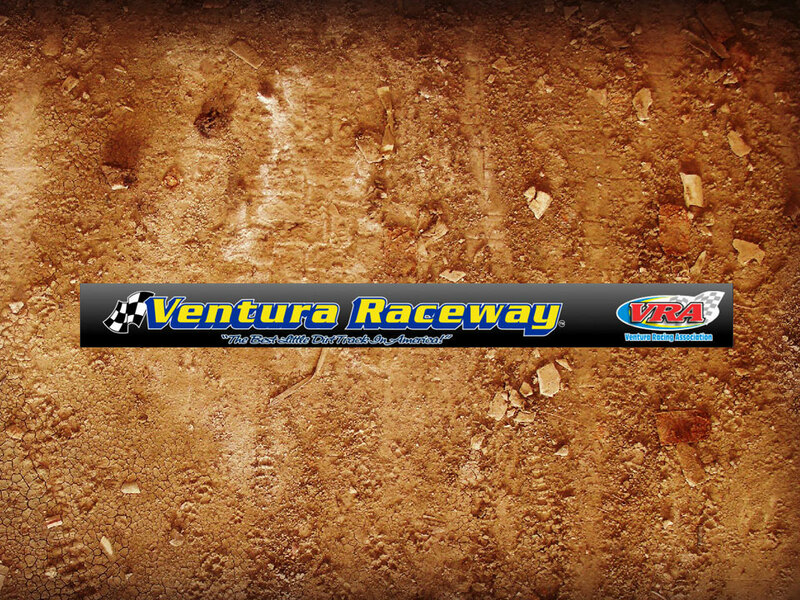 Shannon Anderson at Buena Vista Raceway, Marshalltown Speedway and Sports Park Raceway; Andrew Bertsch at Nodak Speedway; Andrew Burg at Boone Speedway; Tathan Burkhart at Salina Speedway; Randy Byerly at Maquoketa Speedway; Shad Cooper at El Paso County Raceway and I-76 Speedway and in the Colorado Alliance Tour; Brandon Cox at Stuart Speedway; Brian Davidson at Sheridan Speedway; Austin Davis at Phillips County Raceway; Nate DeSive at Stuart Raceway; Ryan Fajman at Boone County Raceway; Tony Fetterman at Raceway Park; Dean Foust at Casper Speedway; Jason Fusselman at Shelby County Speedway; Adam Goff at Williston Basin Speedway; Tim Gonska at North Central Speedway and Princeton Speedway; Garrett Hager at RPM Speedway and Thomas County Speedway; Kyle Hallgren at Buffalo River Race Park; Tyler Hinrichs at Thunder Hill Speedway; Andy Hoffman at Park Jefferson Speedway; Chanse Hollatz at Hancock County Speedway; Bret Houskeeper at Desert Thunder Raceway; Taylor Huss at Beatrice Speedway; Scott Jeffery at Cocopah Speedway; Wally Jones at Thunder Mountain Speedway; Justin Luinenburg at Fairmont Raceway and Redwood Speedway; Alan McNeil at Black Hills Speedway and Gillette Thunder Speedway; Corey Madden at Crawford County Speedway; Zach Olmstead in the Kansas Thunder Series; Andrew Pearce at Millard County Raceway; Allison Pierce at Outlaw Speedway and Skyline Raceway Park; Cory Probst at Arlington Raceway, Clay County Fair Speedway and Murray County Speedway; Leevi Runge at Estevan Motor Speedway; Reagan Sellard at Dodge City Raceway Park; Tim Shiek at Norman County Raceway and Red River Valley Speedway; Bryce Sommerfeld at Kossuth County Speedway; Gerald Spalding Jr. at Cardinal Speedway; Dennis Spencer at Aztec Speedway and Montezuma County Fairgrounds Speedway; Bradley Stafford at Canyon Speedway Park; Vance Tomlinson at McLean County Speedway; Jeromy Wagner at Lincoln County Raceway; Jeff Ware at Eagle Raceway and U.S. 30 Speedway; Nicholas Wasik at Honor Speedway; Luke Wassom at Dawson County Raceway and Junction Motor Speedway; Ryan Wilkerson at Abilene Speedway; Cameron Wilkinson at Off Road Speedway; Cody Williams at Sherman County Speedway; and Leah Wroten at Benton County Speedway and Independence Motor Speedway. State champions in the division were Tathan Burkhart in Kansas, Shad Cooper in Colorado, Dean Foust in Wyoming, Adam Goff in North Dakota, Tim Gonska in Minnesota, Andy Hoffman in South Dakota, Allison Pierce in New York, Bradley Stafford in Arizona, Paige Stanworth in Utah, Mark Turner in New Mexico, Jeff Ware in Nebraska, Ryan Wilkerson in Texas and Leah Wroten in Iowa. Mike Leffler received the Hobby Stock crew chief award. Tyler Bragg at 281 Speedway; Jordan Eddleman at Aztec Speedway; Raymond Hoedebeck at Southern Oklahoma Speedway; Don Painter at Cotton Bowl Speedway; Jeffrey Kaup at Dodge City Raceway Park; Rodger Pierce at Cardinal Speedway; Jason Reese at Millard County Raceway and Wild Bill’s Raceway; Branden Sain at Route 66 Motor Speedway; Josh Smith at Diamond Mountain Speedway; R.J. Stroman at Texarkana 67 Speedway; Gabe Tucker at Abilene Speedway and Heart O’ Texas Speedway; Jake Upchurch at Boyd Raceway and Kennedale Speedway Park; Rodney White at Grayson County Speedway and in the Red River Tour; Kyle Wilkins at Big O Speedway; and Cory Williams at West Texas Raceway. State champions were Brock Aeschbacher in Idaho, Jordan Eddleman in Colorado, Taylor Florio in Texas, Steve Gray in Utah, Cullen Hill in Oklahoma, Jeffrey Kaup in Kansas, Rodger Pierce in New Mexico and R.J. Stroman in Arkansas. The Southern SportMod crew chief of the year award went to Brad Gaines. Chase Alves at Arizona Speedway; Adam Birck at Quincy Raceway; Mitch Boesel at Sherman County Speedway; Lance Borgman at Beatrice Speedway; Ethan Braaksma at Marshalltown Speedway; Jorddon Braaten at Cottage Grove Speedway and Willamette Speedway; Austin Charles at Thunder Hill Speedway; Steve Clancy at US 36 Raceway; Brian Cooper at Silver Dollar Speedway; Brandon Dale at Lee County Speedway; James DiGiovanni at Ocean Speedway; Joe Docekal at Benton County Speedway; Craig Dorner at Luxemburg Speedway; Tony Dugan at I-76 Speedway; Jason Emmot at Diamond Mountain Speedway in California; Colby Fett at Hancock County Speedway and Sports Park Raceway; Troy Gochanour at Fairmont Raceway; Joey Haase at Off Road Speedway; Shawn Harker at Eagle Raceway; Mark Harrison at Central Arizona Speedway; Rex Higgins at Aztec Speedway and Desert Thunder Raceway; Jeremy Hoff at Merced Speedway; Jim Horejsi at Murray County Speedway; Austin Howes in the Karl Performance Arizona Tour; Vern Jackson at Independence Motor Speedway; Kelly Jacobson at Buffalo River Race Park; Luke Johnson at Red River Valley Speedway; Phillip Keller at Williston Basin Speedway; Luke Krogh at Southwest Speedway; Lucas Lamberies at Outagamie Speedway and Shawano Speedway; Colby Langenberg at U.S. 30 Speedway; Brandon Lewis at Honor Speedway; Matthew Looft at Arlington Raceway and Kossuth County Speedway; Austin Luellen at Boone Speedway and Stuart Speedway; Speedy Madrid at Canyon Speedway Park; Austin Manzella at Santa Maria Raceway; David Marble at Southern Oregon Speedway; Shane Meeks at Salina Speedway; Damian Merritt at Marysville Raceway; Rusty Montagne at Raceway Park; Ryan Moser at El Paso County Raceway and Phillips County Raceway, and in the Colorado Alliance Tour; Joshua Munsen at Bethany Speedway; Gage Neal at Maquoketa Speedway; Craig Nieman at American Valley Speedway; Zech Norgaard at Clay County Fair Speedway; Jacob Olmstead at Dawson County Raceway; Cody Olsen at Crawford County Speedway; Norm Reitan at Thunder Mountain Speedway; Tony Rialson at Redwood Speedway; Mark Rodgers at Montezuma County Fairgrounds Speedway; Robby Rosselli at Estevan Motor Speedway and Nodak Speedway; Dustin Schram at Quad City Speedway; Cody Schroeder at 141 Speedway; Zach Schultz at Lincoln County Raceway; Brandon Setser at Davenport Speedway; David Siercks at North Central Speedway and Princeton Speedway; Eric Sloan at Stuart Raceway; Doug Smith at Buena Vista Raceway; Tyler Soppe at Dubuque Speedway; Nick Spainhoward at Bakersfield Speedway; Dakota Sproul at RPM Speedway and in the Kansas Thunder Series; Austin Svoboda at Boone County Raceway and Junction Motor Speedway; Cody Thompson at Park Jefferson Speedway; Trevor Tiffee at Siskiyou Motor Speedway; Stan Tomlinson at McLean County Speedway; Chris Toth at Cocopah Speedway; Blaine Walt at Thomas County Speedway; Aaron Wetterlin at Norman County Raceway; Jason Wright at Sweetwater Speedway and in the Sweet Diamond Challenge Series; Justin Wright at Diamond Mountain Speedway in Utah; Sean Wyett at 34 Raceway; and Kevin Zeitner at Shelby County Speedway. State champions included Chase Alves in Arizona, Jorddon Braaten in Oregon, B.J. 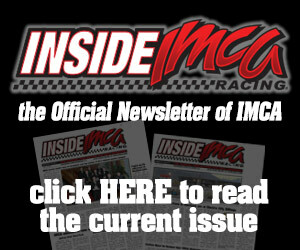 Haslam in Idaho, Kelly Henderson in North Dakota, Rex Higgins in New Mexico, Lucas Lamberies in Wisconsin, Austin Manzella in California, Rusty Montagne in South Dakota, Ryan Moser in Colorado, Tony Rialson in Minnesota, Dustin Schram in Illinois, Shane Simper in Utah, Randy Smith Jr. in Missouri, Tyler Soppe in Iowa, Dakota Sproul in Kansas, Austin Svoboda in Nebraska, and Jason Wright in Wyoming. Recipient of the Northern SportMod crew chief award was Brittney Looft. Billy Ayres Jr. at Canyon Speedway Park; Brian Bagent at 281 Speedway; Shaun Bangart at 141 Speedway; Andrew Baumgardner at Lincoln County Raceway; Jake Benischek at CJ Speedway; David Coenen at Shelby County Speedway; Al Cottrell at Outagamie Speedway; Jay DeVries at Buena Vista Raceway and Kossuth County Speedway; Alex Dostal at Arlington Raceway; T.J. Everard at Luxemburg Speedway; Frank Floyd at Honor Speedway; Jarad Gross at Clay County Fair Speedway; Andrew Harris at Park Jefferson Speedway; Seth Howe-Kellar at Dacotah Speedway; Craig Kastner at Southwest Speedway; Jeff Klinkefus at I-76 Speedway; R.J. Maas at Eagle Raceway; John Martinez at Beatrice Speedway and Junction Motor Speedway; Ramsey Meyer at Off Road Speedway and Raceway Park; Curtis Miller at Stuart Speedway; Oliver Monson at Hancock County Speedway; Ryan Murphy at Thomas County Speedway; Scott Newbury at Boyd Raceway; Riley Paysen at Crawford County Speedway and Sports Park Raceway; Cory Peters at Fairmont Raceway; Shannon Pospisil at Boone County Raceway; Aaron Reimers at Princeton Speedway; Jakob Schwien at RPM Speedway and Salina Speedway; Shalanda Smith at El Paso County Raceway and Phillips County Raceway, and in the Colorado Alliance Tour; Derek Stanoch at North Central Speedway; Barry Taft at 34 Raceway, Lee County Speedway and Quincy Raceway; Billy Turner at Sherman County Speedway; Dustin Virkus at Murray County Speedway and Redwood Speedway; and Christopher Zenz at Nodak Speedway. State champions were Billy Ayres Jr. in Arizona, David Bates in South Dakota, Alex Dostal in Minnesota, T.J. Everard in Wisconsin, Shawn Hein in Nebraska, Craig Kastner in North Dakota, Curtis Miler in Iowa, Jakob Schwien in Kansas, Shalanda Smith in Colorado, Barry Taft in Illinois and Howard Watson in Texas. Tom Meyer and Cameron Meyer received Sport Compact crew chief awards. Twenty-six sponsors received special awards, with AFCO recognized for 25 years of support. Bilstein, Dirt Works, Holley, QA1, Schoenfeld Headers and Speedway Engineering were honored for 20 years of sponsorship, Day Motor Sports, Moser Engineering and MSD each for 15 years. 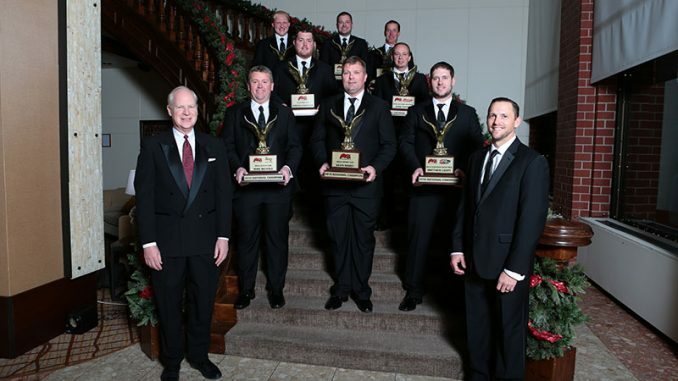 AMI Graphics, BSB Manufacturing, Dominator Race Products, Eibach Springs, Genesis Shocks, Jones Birdsong, Mach-1 Racing Solutions and Stephenville Starter all received 10-year plaques. Five-year awards went to to Big Daddy Race Cars, Finishline Racing Products, Friesen Chevrolet, Jerovetz Shock Service, Longacre, Out-Pace Racing Products, Razor Chassis and Ricochet Race Components. Forty-three tracks were honored with sanction awards. A 35-year Stock Car award went to to Marshalltown Speedway while Arlington Raceway was recog­nized for 30 years of sanctioning its Modified, Sprint Car and Stock Car divisions. Thirty-year plaques went to to Shawano Speedway for Modifieds and Luxemburg Speedway for Stock Cars. Receiving 25-year awards were Abilene Motor Speedway, Dawson County Raceway, Montezuma County Fairgrounds Speedway and U.S. 30 Speedway for Modifieds and Independence Motor Speedway for Stock Cars. Twenty-year plaques were presented to Hancock County Speedway for Modifieds and Stock Cars; Lee County Speedway, Merced Speedway and Rattlesnake Raceway for Modifieds; Quad City Speedway for Late Models; 281 Speedway, Boyd Raceway and Kossuth County Speedway for Stock Cars; and Beatrice Speedway for Hobby Stocks. Tracks honored with 15-year awards included Atomic Motor Raceway and Dodge City Race­way Park for Modifieds; Estevan Motor Speedway for Stock Cars; Cardinal Speedway and Daw­son County Raceway for Hobby Stocks; and 281 Speedway for SportMods. Awards for a decade of sanctioning went to Davenport Speedway for Modifieds; Raceway Park for Stock Cars, Hobby Stocks and Northern SportMods; Estevan Motor Speedway and McLean County Speedway for Hobby Stocks; Lee County Speedway and Montezuma County Fairgrounds Speedway for SportMods; and RPM Speedway and Stuart Speedway for Sport Compacts. And five-year plaques went to Cotton Bowl Speedway for Modifieds, Stock Cars and SportMods; Big Sky Speedway, Buffalo River Race Park, Electric City Speedway, Gallatin Speedway, and Thunder Mountain Speedway for Modifieds; Bakersfield Speedway, Diamond Mountain Speed­way and Salina Speedway for Stock Cars; Casper Speedway, Cocopah Speedway and Desert Thunder Raceway for Hobby Stocks; Norman County Raceway, Southern Oregon Speedway and Sweetwater Speedway for SportMods; and Southwest Speedway for Sport Compacts.